The Arc'teryx Beta AR Jacket Men's has been around since the year 2000, and it's still in production today thanks to its combination of a highly water- and wind-resistant 3-layer Gore-Tex Pro fabric and Arc'teryx's signature build quality. 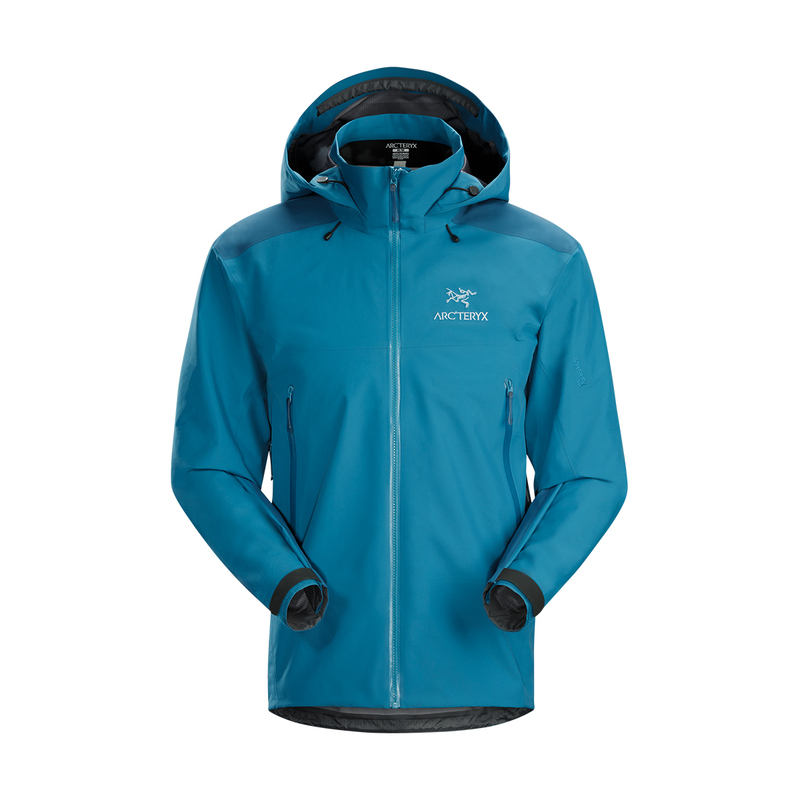 Function-enhancing features include articulated elbows and no-lift gusseted underarms, and added details that increase durability and protection include taped seams, WaterTight™ external zippers, laminated brims, and reinforced shoulders. Not just a Gore-Tex Pro jacket, but a finely tuned, all-round hardshell for climbing, skiing, trekking, anything you want to throw it at. GORE-TEX® Pro products feature three distinct features: an exclusive 100% ePTFE-based multilayer membrane system that enhances weatherproofing, outer materials that are higher than 40-denier to increase abrasion-resistance, and a patented Gore Micro Grid Backer technology that improves breathability, reduces weight, and slides easily over internal layers. It's designed for top performance in demanding environments.